accounting for 1/3 of all venture capital investment in the U.S. Largely lacking San Francisco's notorious fog and urban density, Silicon Valley and the Peninsula enjoy a year-round pleasant climate and one of the highest standards of living in the country. Not just a think tank, the region is endowed with dramatic Pacific coastline and laced with unspoilt greenways and parks, like Castle Rock State Park or Rancho San Antonio County Park, as well as primeval redwood forests and pristine fault-line lakes. Save time to explore the bike-friendly town of Palo Alto (home of Stanford University and Facebook), or the workaday city of San Jose, where the prevalence of sunshine makes you feel like you're in SoCal. dips outside that range, so bring layers no matter when you decide to visit. Rains are fairly common during the winter, but almost unheard of from May through October, so if you are planning on taking advantage of the area’s many outdoor activities (rather than haunting the halls of tech offices), this is the best time to visit. Silicon Valley is home to many beloved tech companies and also the beautiful campus of Stanford University! It's light on stand out attractions for first visitors to the Bay Area, but it's a great place to live for families with great food and nice outdoor spaces. There may be many pretenders but Silicon Valley is the world's technology center. From the hiking to the foodie scene, Silicon Valley and the Peninsula give it's big sister, San Francisco, a run for its money. Some of the best cities and towns to check out include Palo Alto, Los Gatos and Campbell for their vibrant downtown areas and good grub. A wonderful place to work and live. When the uninitiated thinks of Silicon Valley, they usually assume futuristic buildings and state-of-art infrastructure. On the contrary, you'll find a low-key family-oriented suburb (filled with mid-century Eichler houses) surrounded by some of the best hiking and biking trails. Does the Business Tribe get your adrenalin pumping, in search of the next great deal? 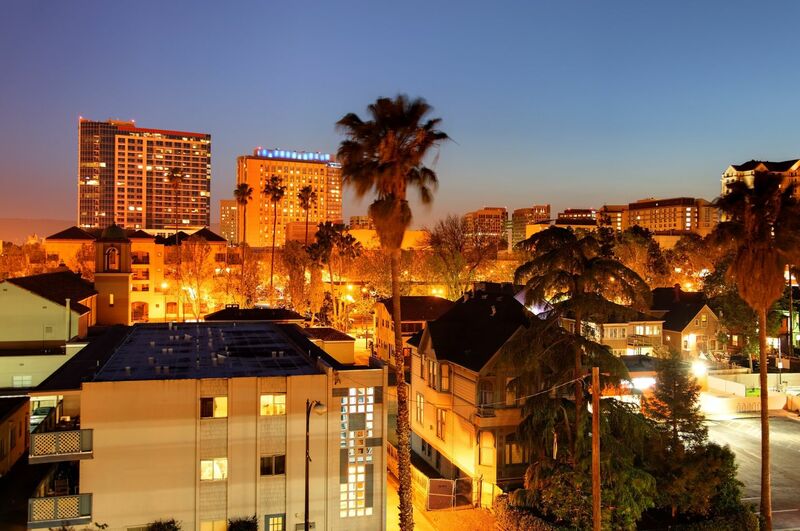 Head to Silicon Valley over Memorial Day, hobnob with the latest startups in Menlo, and hit up fun events like the San Jose Taco Fest and a Memorial Day yacht party and wine tasting. If you like tech, then you must drive around in the Silicon Valley. You will see many iconic tech giant HQ like Google, Apple, Yahoo, and numerous other. Some of those can bee see in the freeway. I'm a socal guy at heart, but if I wouldn't mind living in this area.... especially if I could afford it! Palo Alto particularly stands out to me as a great place to live and raise kids in the shadow of Stanford University. Went to Stanford and it was the best 4 years of my life! Overall great place to live, the weather is incredible and the restaurants surrounding the campus are great as well. The Bay Area is the home to Silicon Valley, and one of the most beautiful regions in America. Great weather and so many things to do here! And the food... so many options, with the local diversity making the Valley such a wonderful place to live. What I love the most about Silicon Valley is how many great international and ethnic restaurants are hiding in the strip malls off the major highways. Chinese, Indian, Japanese, Malaysian, Filipino, Pakistani - whatever flavors you're craving, you can probably find them here if you're willing to do a little research first.